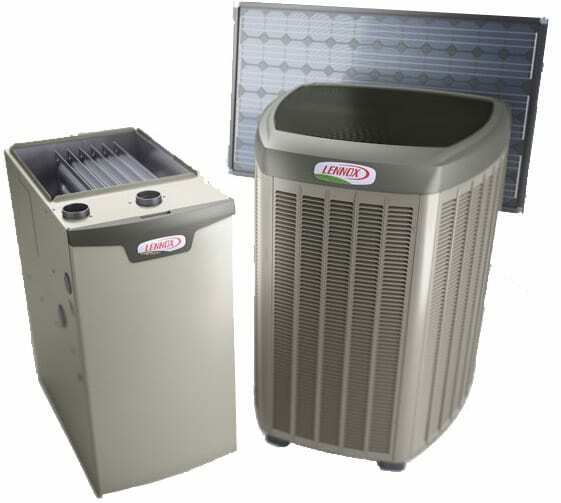 Mac Heating & Air Conditioning sells and installs a wide range of heating and cooling equipment. Our indoor comfort specialists will evaluate your home or business and recommend solutions that work best for your needs and budget. Heat pumps, air conditioners, furnaces, boilers, thermostats, and ductwork are just a few of the things we can use to make your home comfortable for you and your family. After the sale, our service and repair department will make sure everything is running as it should. Mac Heating & Air Conditioning is committed to helping our clients save on their energy costs while harnessing the power of green energy. Two great options are the Lennox SunSource solar assisted heat pump and WaterFurnace geothermal systems. SunSource is different from a typical home comfort system in that it uses the abundant, clean, and completely free energy of the sun to reduce your home’s utility operating costs. SunSource is a complete home energy system that works with a solar-ready heat pump or air conditioner and solar modules. Geothermal energy is one of the world’s greenest ways to heat and cool your home. Geothermal systems allow homeowners to lower their utility operating costs by using stored earth energy. WaterFurnace geothermal systems are designed and constructed for quiet operation and have proven to be very reliable. Mac Heating & Air Conditioning can also keep you comfortable by using the latest technology in the heating and cooling industry. 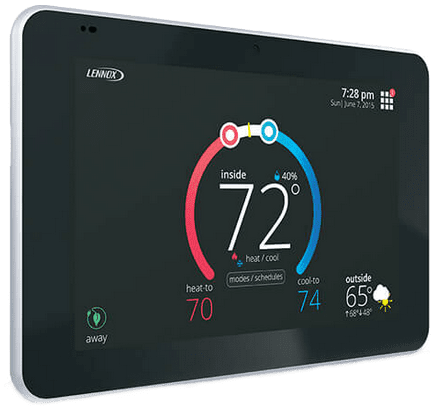 The Lennox I-Comfort wi-fi thermostat allows you to access your thermostat from anywhere using a computer, tablet, or smartphone. The I-Harmony zoning system solves the problem of uneven or uncomfortable temperatures throughout your home while helping you reduce energy costs.